So There. 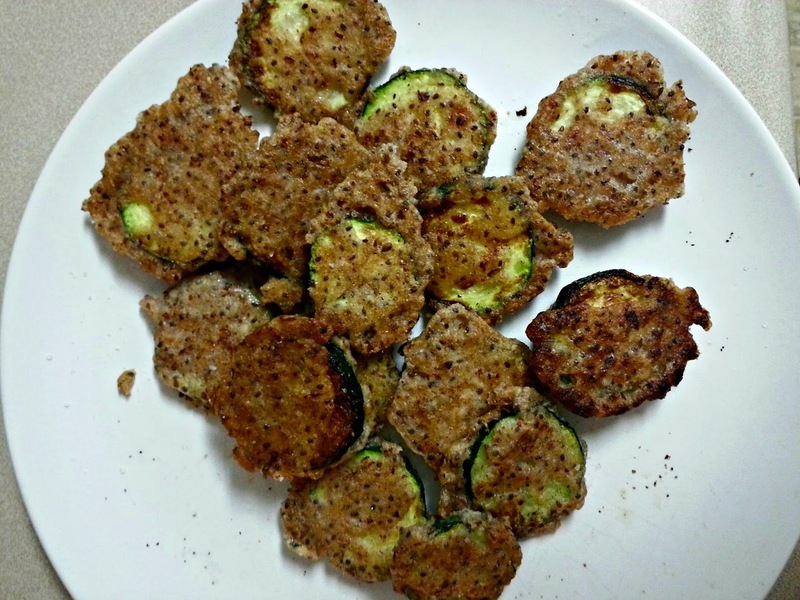 : Zucchini Fritters - Vegan and Healthful. Plus The Benefits of Chia Seeds! 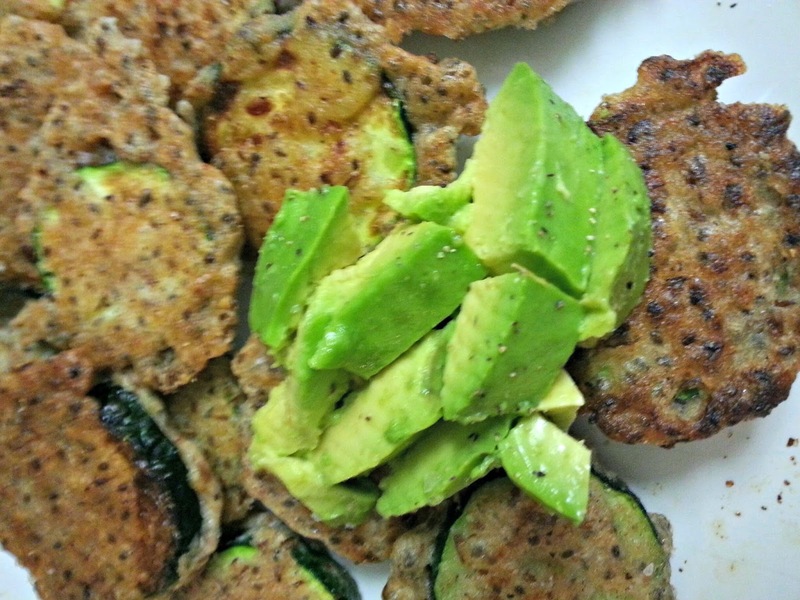 Zucchini Fritters - Vegan and Healthful. Plus The Benefits of Chia Seeds! 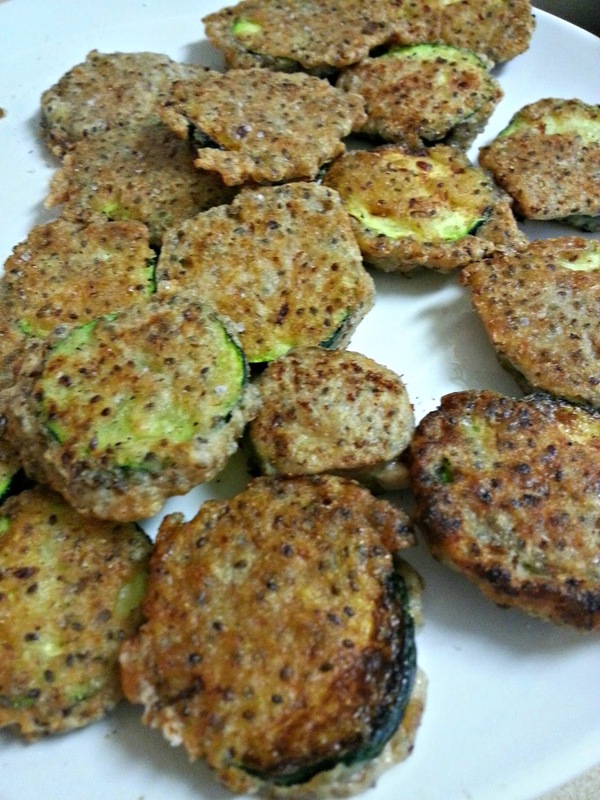 So, I made these zucchini fritters once, and they were amazing. But, I don't always keep eggs in the house, and a lot of times I will use flax or chia seeds as a replacement for eggs in baking. Soaked in water for a bit, they "gel" up, and thicken, into a substance that definitely resembles raw egg whites. I have been trying to eat more chia seeds lately, because they are so good for you! Chia seeds are tiny black and white seeds (Ch-ch-ch-chia! ), that can absorb a ton of liquid, and soften into a gel-like substance when soaked. You can use them in baking, add them in smoothies, or sprinkle them raw/dry on top of yogurt or oatmeal. 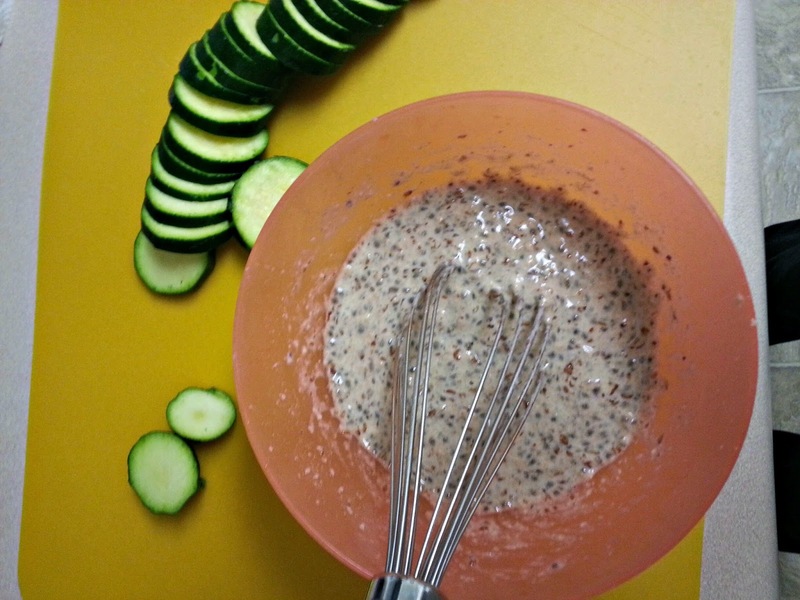 Soak 1 Tablespoon ground flax seed and 1 Tablespoon chia seeds in 6 Tablespoons water for about 10 minutes until thickened. Whisk a couple times while it is sitting. Slice up 1 large zucchini into 1/8" - 1/4" thick slices. 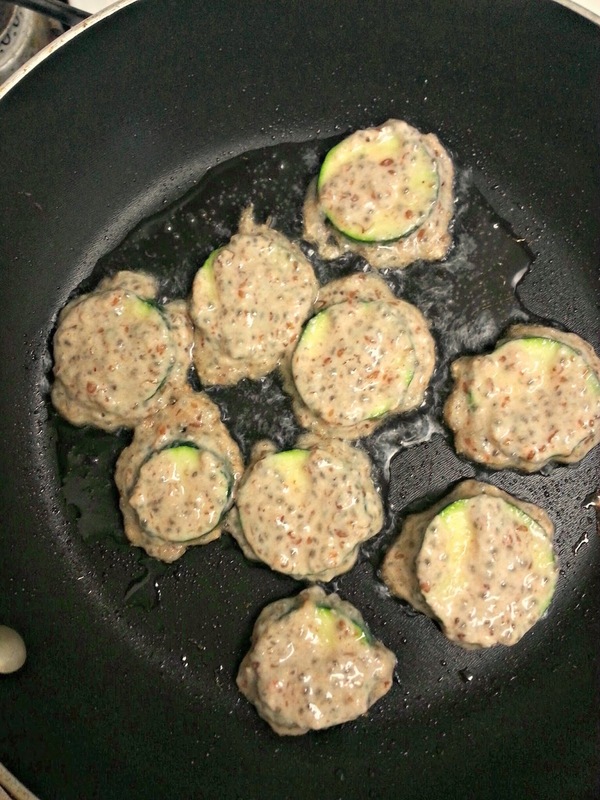 Heat a heaping Tablespoon of virgin coconut oil over medium heat in a saute pan. 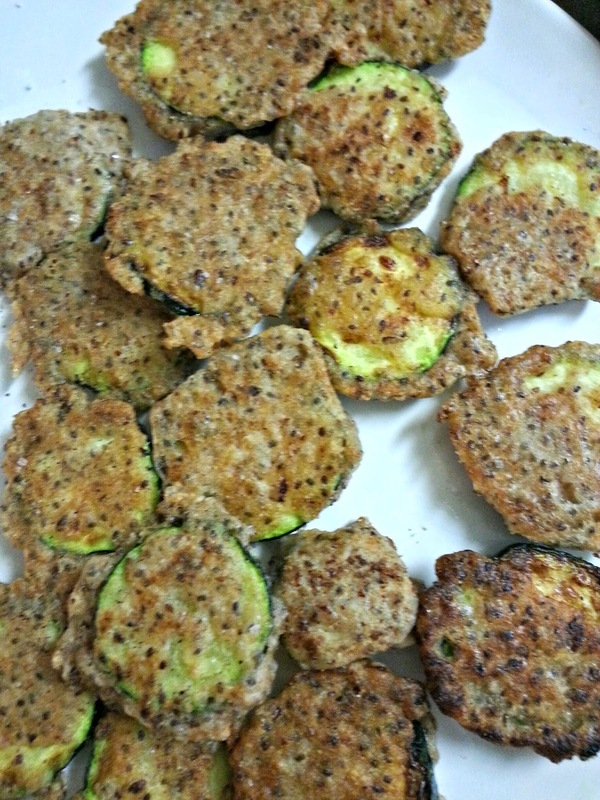 Dip each zucchini slice into the batter, coating well, then carefully drop into the pan. 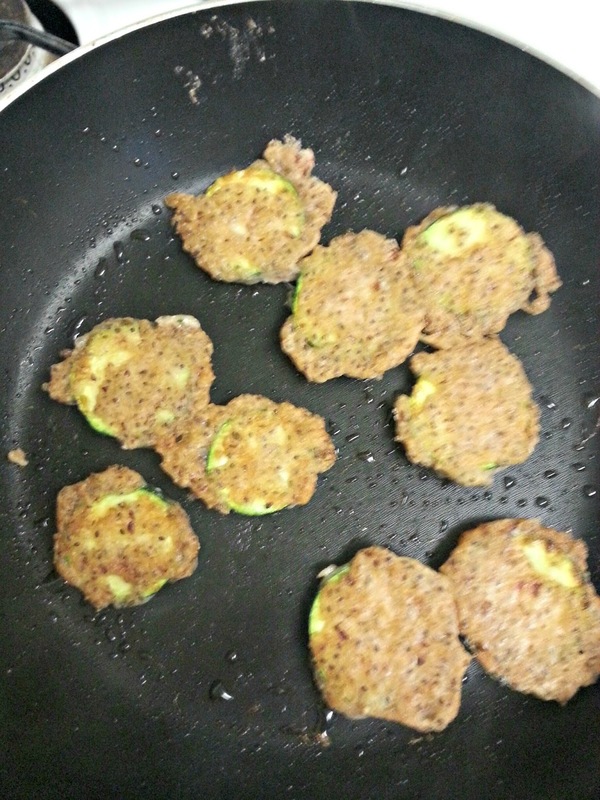 Cook, and flip until browned on both sides. Set aside on paper towel to cool. Sprinkling with a touch more sea salt while hot, if desired. 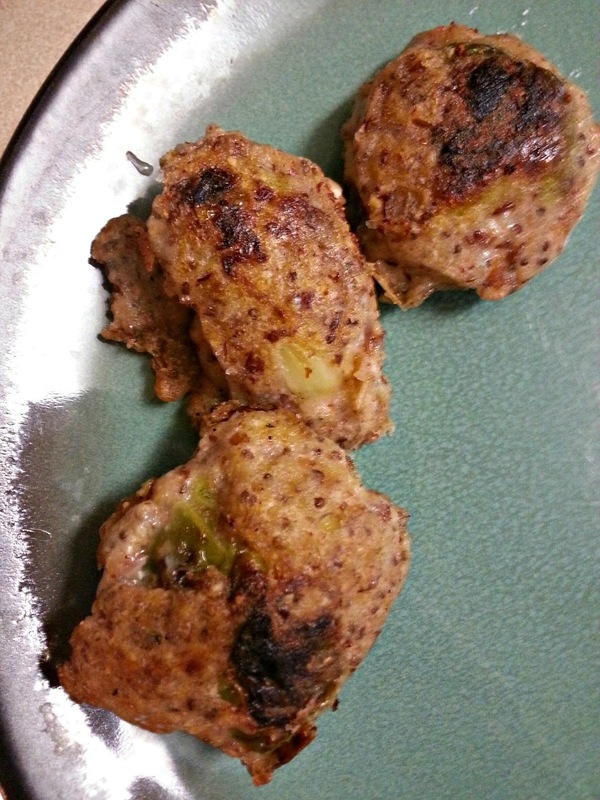 If you have batter leftover, feel free to batter and fry and other item you have leftover in your fridge! 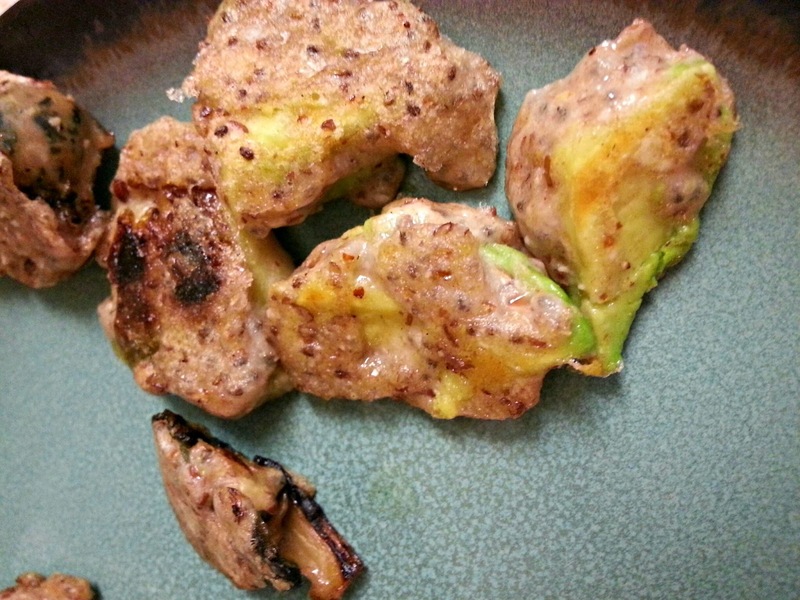 And a couple avocado cubes! Omg those are good. 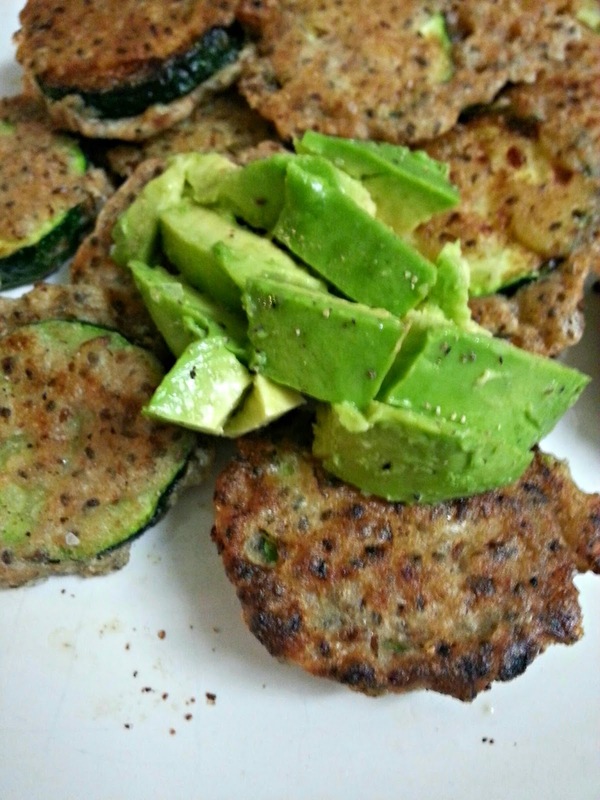 I topped a plate of these fritters with freshly sliced avocado and called it dinner! Lots of protein from the chia and flax, as well as almond meal, AND avocado.